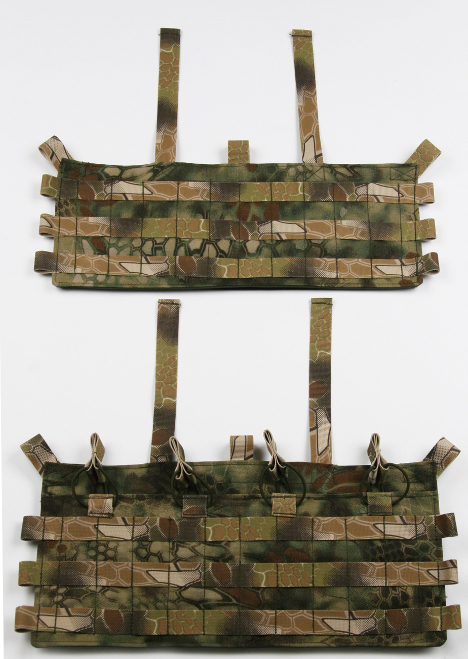 The TLMP (Tactical Load Mount Platform) is a mounting platform for the popular elastic magazine pouches like the HSGI TACO, EGL stuff pouch or any Molle/PALS compatible pouches . The TLMP allows you to mount your elastic magazine pouches how you want.The TLMP was designed to connect with the newest Plate carriers and body armor carriers that are QASM compatible. Available with or without magazine pouches. Four side webbing loops attachment points provide for field replaceable buckles and user configuration. The side webbing loops allow the buckles to be changed to fit most rigs. 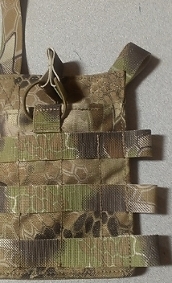 The diagonal loop allows the TLMP to be turned into a traditional chest rig with the correct hardware and webbing. These materials are not supplied. 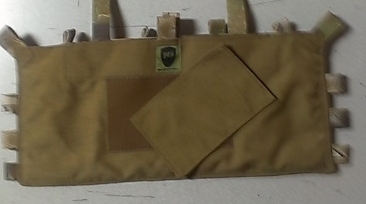 The back of the panel has 4″ hook velcro to secure and stabilize the TLMP to a compatible plate carriers or body armor carriers. The hook velcro can be covered with the loop cover flap if not needed. 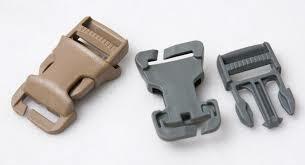 QASM buckles/field replaceable buckles allow the user to figure out the best solutions and configuration to connect the TLMP to a Plate Carrier or Body armor carrier. With the TMLP we are taking the same approach Malice clips or Speed clips are purchased separately based upon preference. The QASM buckles/Field replaceable buckles are not included. The TLMP (Tactical Load Mount Platform) is available in Multicam, A-TACS AU, A-TACS FG, Kryptek Highlander, Kryptek Mandrake, Kryptek Typhon, Coyote, Khaki, Ranger Green, Woodland, ABU, ACU, and Black.